LOS ANGELES, CA – DECEMBER 7, 2015 – Muse was nominated for a Grammy Award today for the 58th Grammy Awards. The band received a nod in the Best Rock Album Category for their heralded seventh album Drones, which was released on June 8, 2015 by Warner Bros. Records. The album debuted at Number One in 21 countries around the world and marked the band’s first number one album in the United States selling 84,200 units in its first week. The Grammy® Awards will be handed out on Monday, February 15, 2016 at the Staples Center in Los Angeles, CA and televised live on CBS at 8PM EST/PST (Check local Listings). Muse kicked off the U.S. leg of their Drones World Tour last week and are performing for the first time “in the round” from the middle of the arena. For a complete list of remaining dates, see below. 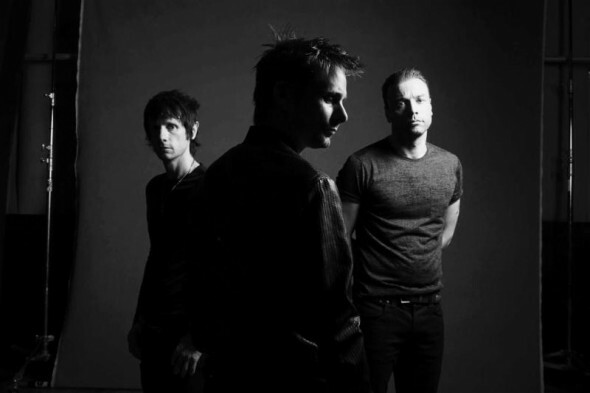 Muse is Matt Bellamy, Dominic Howard and Chris Wolstenholme. Since forming in 1994, they have released seven studio albums selling upwards of 17 million albums worldwide and won numerous awards around the world including: a Grammy Award for Best Rock Album; an American Music Award; and the O2 Silver Clef presented by Queen’s Roger Taylor and Brian May. They have won press awards for Best Live Act, Best Album and Best British Band, and they have received an Ivor Novello Award for International Achievement.